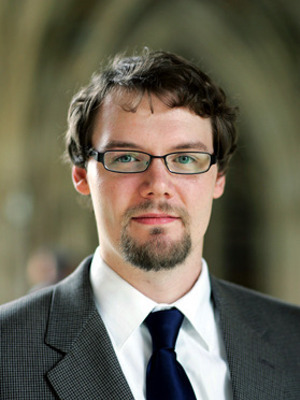 Jason R. Blevins is an Associate Professor of Economics at the Ohio State University. He joined the department in 2010 after receiving his Ph.D. from Duke University. Previously, he studied Applied Mathematics at North Carolina State University and later earned an M.A. in Economics at Duke. Professor Blevins’s research interests lie mainly in the intersection of Econometrics and Empirical Industrial Organization. Much of his research focuses on identification, computation, and estimation of dynamic structural models such as dynamic discrete choice models, dynamic games, and continuous time models. A second area of interest is partial identification and set estimation, such as in semiparametric models that arise when relaxing assumptions in parametric models. He also uses these methods for applications in Empirical IO and Applied Microeconomics more generally. His research has been published in the Review of Economic Studies, Management Science, Quantitative Economics, the Journal of Applied Econometrics, and elsewhere.